Not only does Kyndall Rothaus have a way with words, but her words make a way for holy encounters. The pastor of Covenant Baptist Church in San Antonio, Texas, who graduated from George W. Truett Theological Seminary believes that the preacher’s task is not to transfer ideas, but to “carve out space to encounter the holy.” Kyndall is a skillful writer who knows that well-chosen words may help open a heart to God. 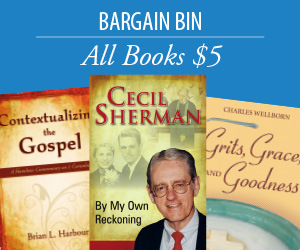 A stunning phrase or surprising metaphor can present ancient truths in fresh ways. The right questions can nudge someone to explore faith. Kyndall’s words find their way into pulpits, poetry slams, devotional blogs, and printed pages. 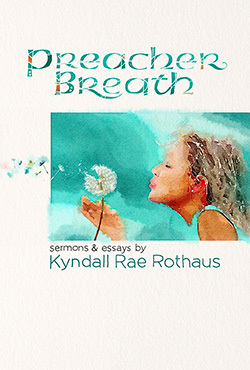 Her new book, Preacher Breath, describes the journey she took to find her preaching voice, why she wants us to approach Scripture with less fear, and how the art of preaching engages the whole life of its preachers. I recently found some journals I wrote as a ten-year-old that included questions about the Bible text I was reading: “What did James mean at the time he wrote this? What does this mean universally? What does it mean to me?” I have no idea where I learned to think about that. But that’s what I was doing as a ten-year-old. Because so much of my book is about returning to Scripture with a childlike wonder, it’s ironic that my childhood journals sound as if I skipped right to critical exegesis! Maybe I am recovering my lost childhood. Anyway, I have had a relationship with Scripture for as long as I can remember. I have argued with it, and been frustrated and confused by it, but it has always been a living, breathing thing to me, full of life, complexity, and invitation.